The perfect space-saving storage solution for your SmartBells! 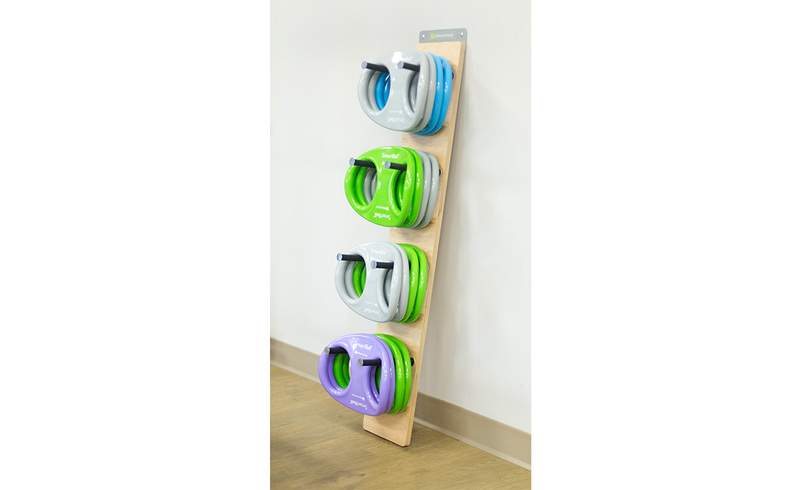 Conveniently store up to 24 SmartBells with this attractive wood rack. Assembles quickly and attaches to a wall for safe, easy storage. 48.5" tall x 8" wide x 8.5" deep (123cm x 20.3cm x 21.6cm). Sticks out about 13.5" from the wall at the base. Call to order any 24 SmartBells of your choice and get a free Bell Tower.